This summer my three children have camped in a tent in the rain forest, sailed the high seas in a Clipper ship, lived in a Native American teepee and built a cave to hide from dragons. 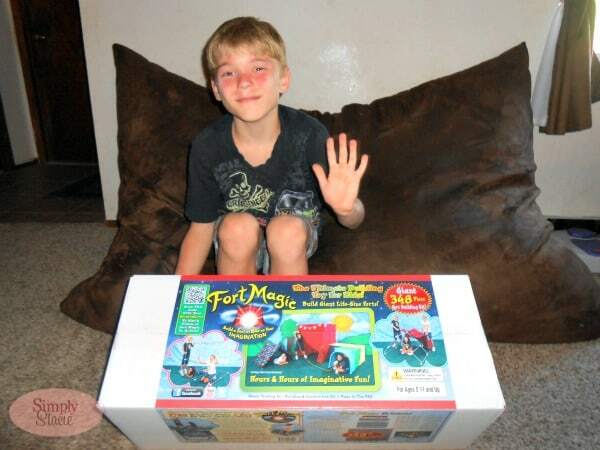 This magical adventure filled summer has all been thanks to Fort Magic! Imaginations were inspired by this wonderful 3D fort building and construction toy set as they spent hours (and hours) designing their creations and then actively role playing their latest fun-filled quest. Fort Magic is exactly what playtime should be in my opinion…..no electronics or batteries, just a sprinkle of imagination to bring the child’s creative vision to life. 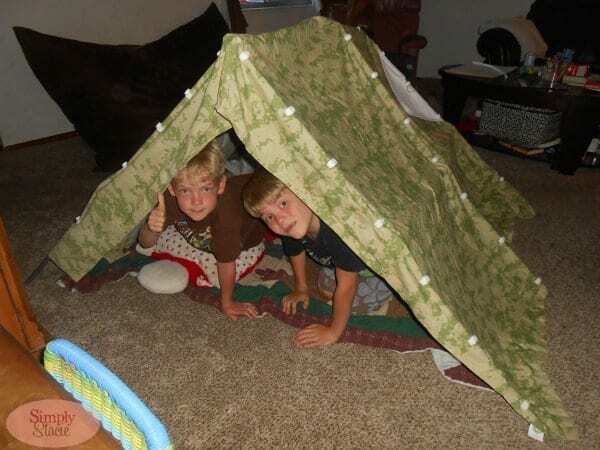 Our children are always building forts and tents using sheets and things they find around the house however they quickly get frustrated that it falls down or apart. My husband was initially skeptical of a fort building kit because he assumed that it would be taking away from their creativity and would be hard to store. 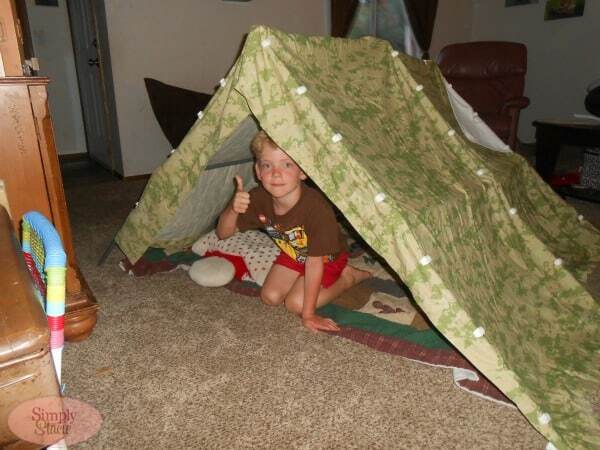 Once he saw Fort Magic “in action” he immediately changed his tune and actually asked the kids if he could build with them as they created a “tent city” for their overnight sleepover……my husband declared this toy to be exceptional! What is Fort Magic? 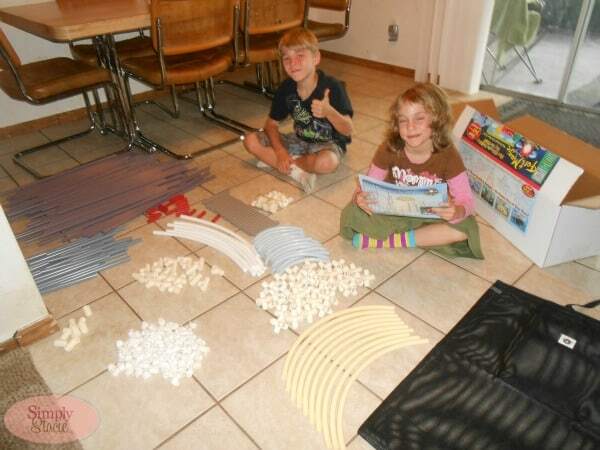 It is a building kit that includes 142 straight and curved sticks in seven different sizes, 77 connector pieces in five shapes and sizes, a bonus 34 piece pack with 24 additional sticks and 10 additional connectors, 130 fabric and accessory clips, a high quality storage bag and a full color instruction manual. 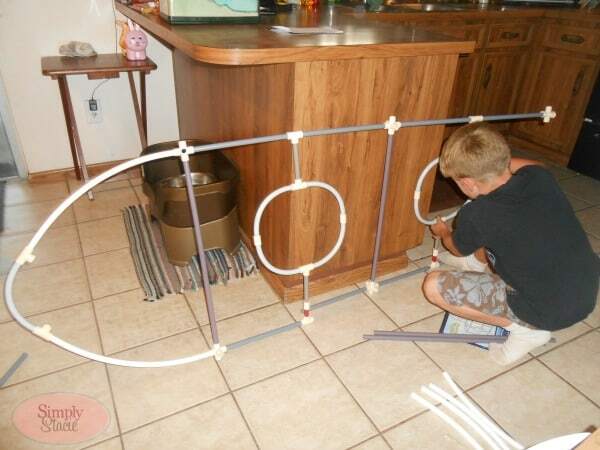 My children are ages 5, 6 and 8 and after reviewing the instructional manual with my husband all three children were able to easily begin constructing their designs. We were very impressed with how user-friendly this building set is so that even our youngest child could proudly bring his creation to life. The sticks and connectors are extremely durable. In fact, my children have played with this building set every single day for at least one hour at a time and it has been put together and taken apart time and time again with the pieces working perfectly. The fabric and accessory clips allow the kids to add sheets, blankets etc. to the connectors to turn their design into 3D tents, fort, teepee etc. The instruction manual is very useful, easy to follow and even gives fantastic plans for building over 20 designs including submarines, pirate ships etc. My personal favorite feature of Fort Magic is the brilliant addition of the oversized storage bag which is built to last and easily stores all of the parts and pieces to the building set. When children are finished playing everything gets put into the bag and stored in the closet where they retrieve it for additional play. There is no mess left behind and no lost or missing pieces and this bag is constructed to last a very long time. Fort Magic is one of those rare toys that my family has come across over the years that I will be sure to save for use in the future with my grandchildren. I am sure that my children will have so many more wonderful memories of their time playing with Fort Magic that they will want to pass it along to their own little ones. In fact, all three of my children unanimously agreed that Fort Magic is their “favorite toy ever” and this is the first time I have ever heard this declaration from them about any toy. It would make an excellent Christmas or holiday present that will get years of play time and far exceeded our expectations. You are invited to visit Fort Magic to view all of the awesome creations in the gallery that use simple fabrics to create 3D castles, cottages, mansions and more. Fort Magic is available for purchase in the U.S. and Canada and it is currently on sale for $199 which is a $50 savings off the SRP of $249. My family is on a budget but my husband and I both agreed that this toy is well worth the price considering how much use it is getting as well as it promotes our children’s imagination, engineering skills and creativity which is priceless! I learned that they have a 30 day money back guarantee, thanks! I learned that they have a “30-day Money Back Guarantee” on their products and they have a full color Instruction Manual with over 20 designs to build!